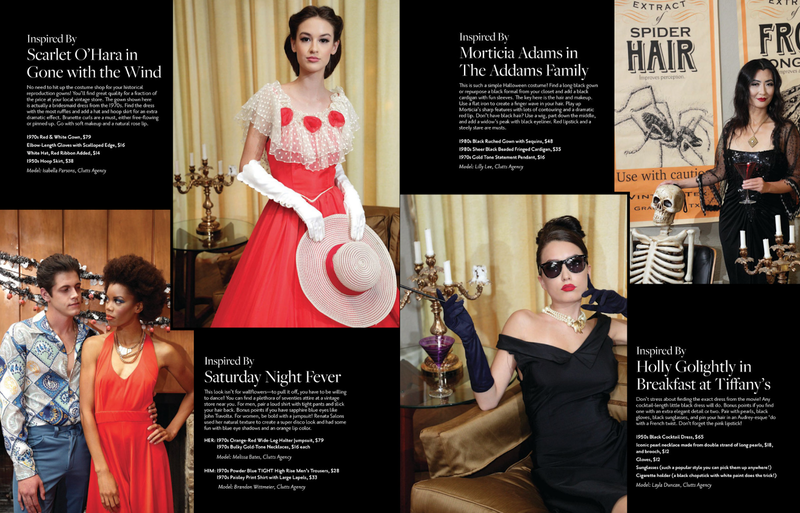 Thank you so much to Living Magazine for featuring us in a spread full of ideas on shopping vintage for Halloween! Also a special thank you to The Clutts Agency for providing our models and to the hair and makeup team from Renata Salons for bringing all these looks to life! 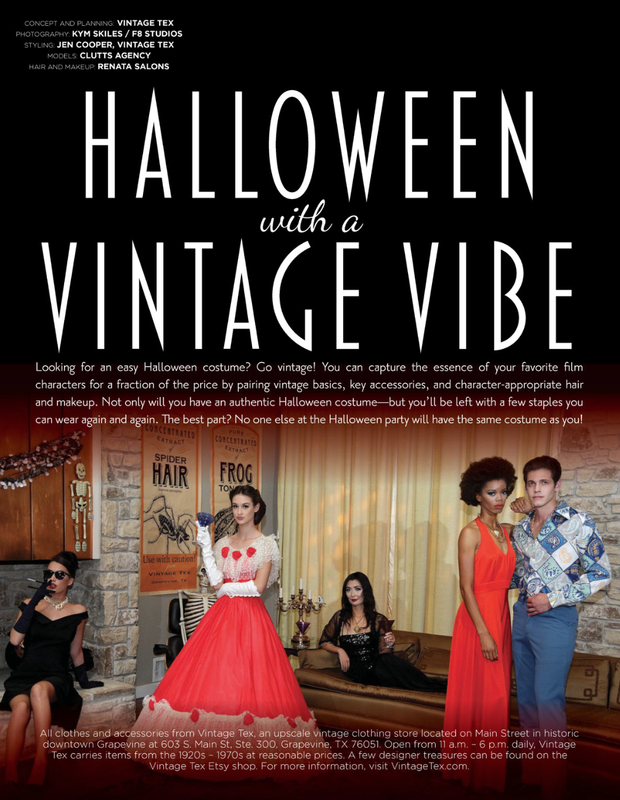 Check out the full post on the Living Magazine website here, and find these costumes and more at Vintage Tex! Previous Post: Friday the 13th Halloween Costuming Event!